Thank you for the wonderful tour you arranged for us. Your help during our correspondence was invaluable and the way you made all arrangements was remarkable. 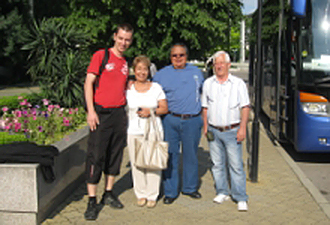 We are so grateful to you with the hotel choice, our knowledgeable guide Boris and excellent driver Koze. You helped us feel at home in your beautiful country.